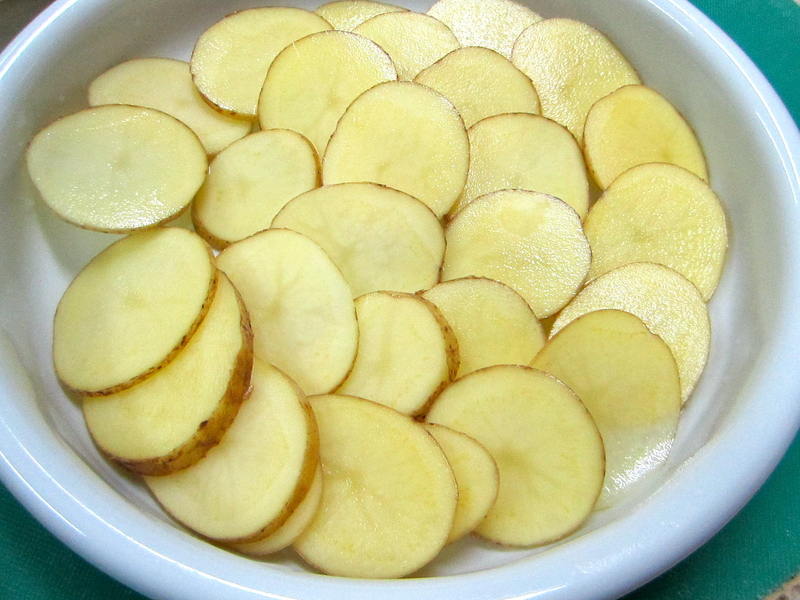 Potato gratin is as easy as 123. 😀 Hope you guys try this at home. Pre heat the oven to 350F. 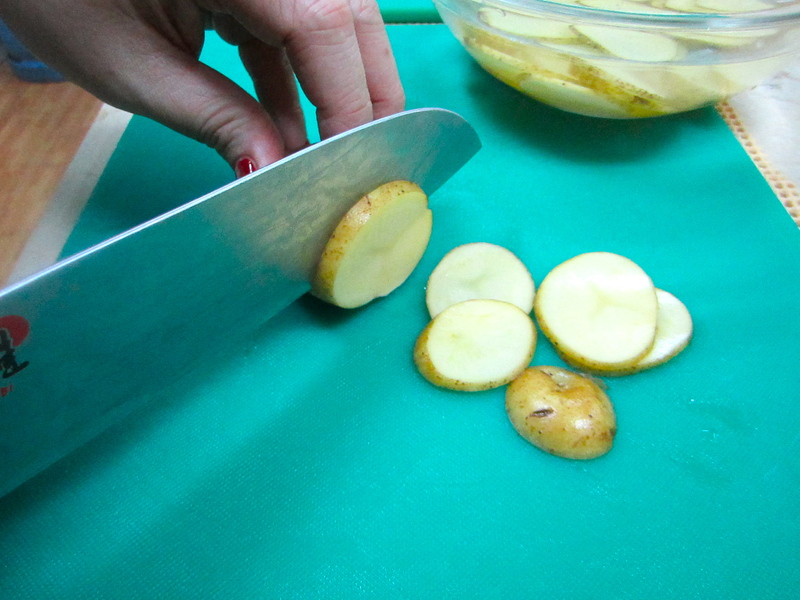 Cut potatoes into thin rounds. I like to keep the skins on. Make sure you scrub the potatoes well. I used about 6 potatoes. 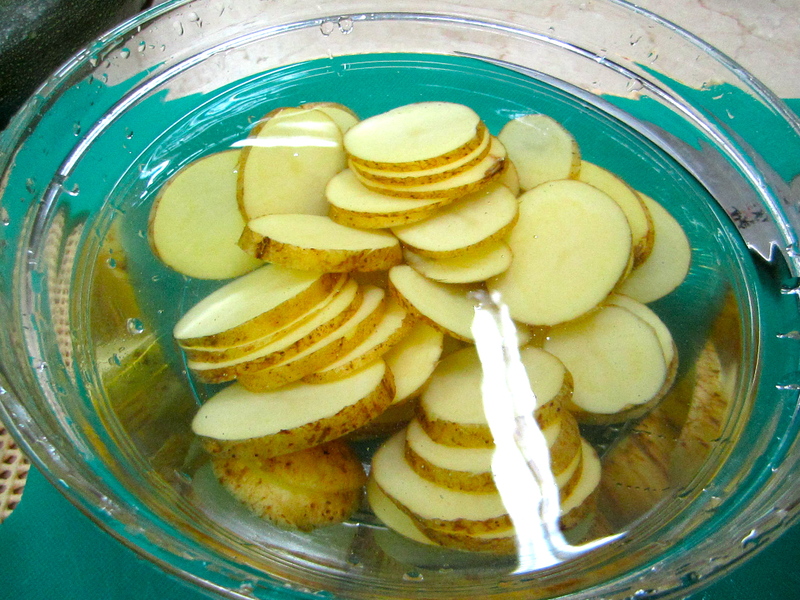 Step 2: Soak the potatoes in water to prevent them from oxidizing. 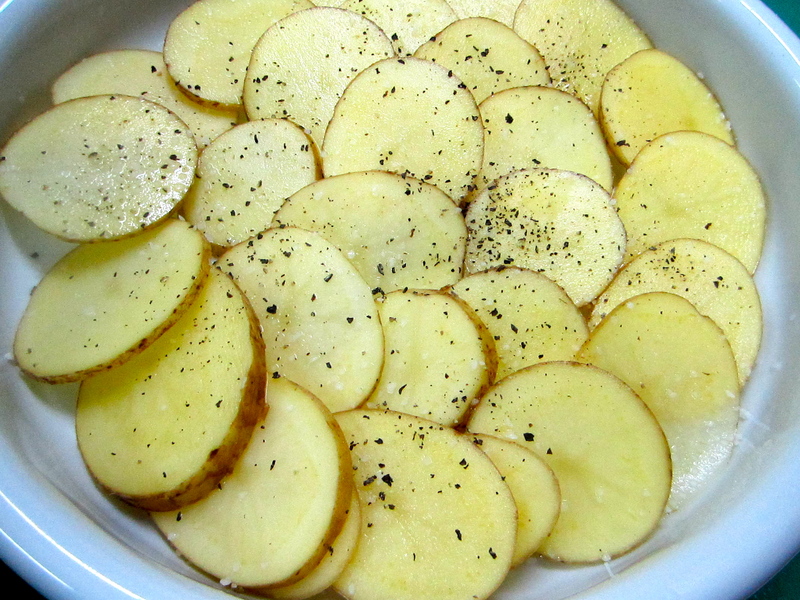 Step 3: Place potatoes in a baking dish and season with salt and pepper. 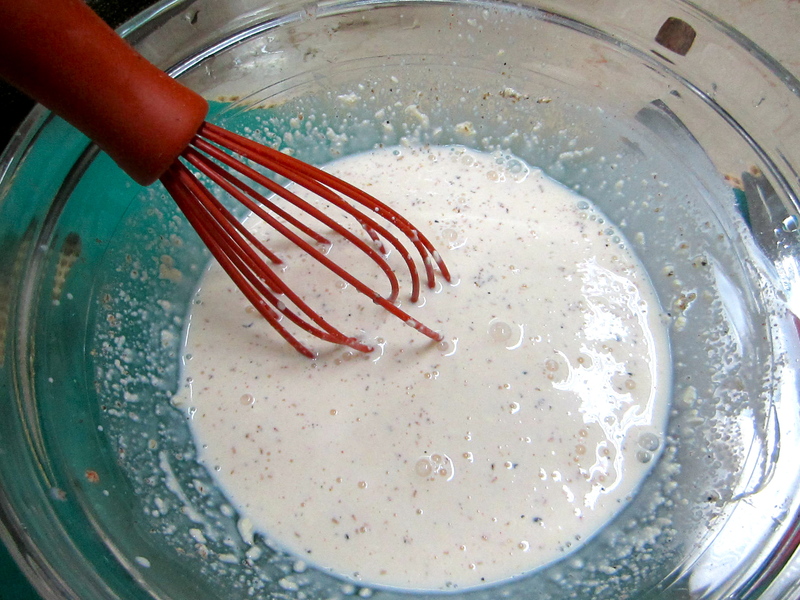 Step 4: In a bowl, combine 1/2 cup cream and 2 Tbsps milk. Add a pinch of nutmeg and 1 clove of garlic finely minced. Salt and pepper to taste. Whisk unitl blended and pour over the potatoes. Place in the pre-heated oven and bake until almost done. 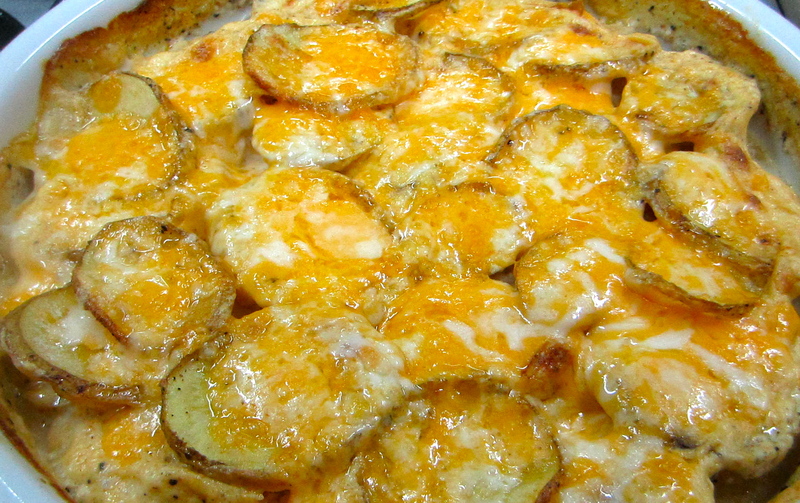 Remove from the oven and add cheese. I used a combination of mozzarella and sharp cheddar. ( available at S&R). Bake until bubbly and melted. Serve.